Do you need practice for the WELL AP exam? Look no further. Four hundred test questions are included in these WELL AP practice exams. It’s the slickest tool available to help pass your WELL AP test. 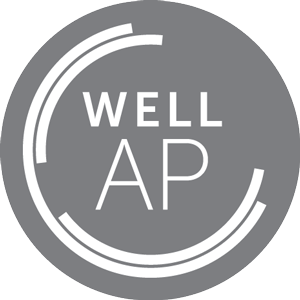 The new WELL Accredited Professional (WELL AP) credential signifies knowledge in human health and wellness influenced by the built environment. It tells yours peers that you can apply the WELL Building Standard to new and existing buildings. To become a WELL AP, all candidates must pass the 100-question multiple choice WELL AP exam, administered by GBCI, taken at Prometric testing centers. The exam, developed using GBCI’s rigorous LEED test development best practices, is designed to test a candidate’s competency to perform the duties of a WELL AP. The GBCI’s exam is based on the expertise of leading practitioners in the field of design, health, and wellness in the built environment. Our WELL AP practice exams are crafted to help you study efficiently. Why GBES for WELL AP Practice Exams? GBES has helped over 100,000 professionals (and students) prepare for LEED professional credential exams since 2007. We are experts. And, our entire team is stoked about the new WELL AP credential and the WELL Building Standard. Our WELL practice tests are built on the same industry-leading exam simulator and are WELL customers are loving how realistic our questions are as they study and pass! Check out our 30 minute WELL webinar on how to pass the first time here. GBES practice tests are known as the most comprehensive and realistic practice exams available. Identify what you already know and what you need to work on. Review your entire test history so you can monitor your improvement along the way. Your completed WELL AP practice exam scores and answers are stored for later review.